Technological advancements in the flight systems are now at a full throttle. Such kind of innovation does not only prevent human flight errors. But, it also helps the pilot to reduce the risks of acquiring certain health conditions. For example, an autopilot flight control system only works on a reliable computing technology. This equipment must have the capacity to handle such complex applications. And, the device must also have the strength to endure the existing environment of aerospace. So, what type of computing device is ideal for aviation operation? One industrial computing device for these applications is the S17 rugged industrial computer. This device can have the required specifications for an autopilot system to function. And, it can have the highest degree of protection and can perform efficiently in the aircraft operation. What makes this device work in these flight control applications? 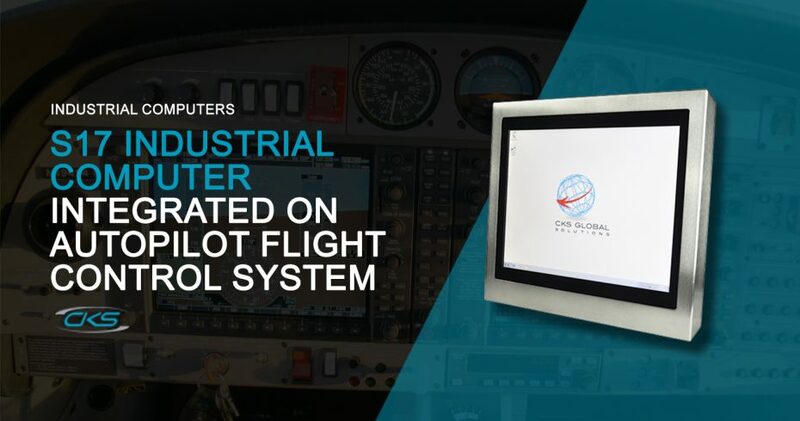 Get to know more details about the S17 industrial PCs integrated on autopilot system on this blog. Currently, the Boeing 777 has the most advanced autopilot uninterruptible system. Using an embedded software and satellite communication, a Boeing aircraft can be flown remotely. This system also disables the pilot to control the plane once it is activated [21st Century Wire]. But, there are several types of embedded panel PCs that can be installed in the aircraft. So, how can these devices have the capability to perform a specific application for aviation? Fortunately, the S17 rugged industrial computers are built with industrial-grade components. These computers are designed to perform tough applications over a wide temperature range. In addition to that, its internal and external parts of the system can withstand the challenging environment of aircraft operation. Other key features and benefits of the S17 rugged computers are provided further below. Clearly, an autopilot flight system has given the pilot to perform other tasks besides flying the plane. To ensure that this system will work well in the aircraft’s system, consider some key features of this device. Since the plane’s cockpit has a limited space, every part should be utilised. This also means that all control systems of the aircraft should be compact in size. What’s great is that the S17 industrial PC can have a thin client terminal setup. It allows TCP/IP text and graphics connection to any operating system despite its compact size. This also allows the pilot to centralise their tasks in one computer. And, it can fit on the flight deck of the plane. Usually, computing systems increase its energy consumption when heat is generated in these devices. It utilises multiple cooling systems so that the device performance is maintained efficiently. This is the reason why low powered consuming PCs are thought to be less effective than other PCs. But, thanks to modern technology, industrial PCs can now have low energy consumption. In fact, the S17 rugged industrial computers do not require fans or airflows in order to reduce the generated heat whilst performing. This is because heat is passively dissipated. One of the greatest factors that makes a PC a liability is its high maintenance cost. Bear in mind that these PCs are frequently used in the aircraft operations. So, there are instances where some of its parts suffer wear-and-tear condition. But, the S17 rugged industrial computers have customised operating systems, no moving parts and fewer interconnections. Thus, this device also provides affordable IT maintenance. At the same time, these computers can provide optimum performance in aviation flight control operations. Advancing the aircraft operations can help prevent flight errors in the near future. By installing the latest flight control system to the S17 industrial panel PC, pilots can take benefit from it. At the same time, this can improve passengers’ experience as well.